The Grasses constitute one of the largest families of flowering plants, with estimates of numbers suggesting more than 12,000 species. They can scarcely be challenged as the ‘most important plant family’ to humanity, providing all our cereals as well as forming a substantial component of pastures for grazing livestock. 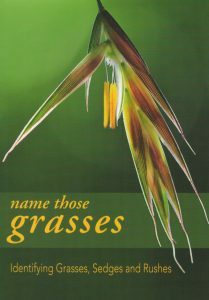 With clear text, and detailed illustrations and photographs this book describes the structure of grasses and some similar groups, explains the language used in their description, and describes the process of identiﬁcation. This book will be of value to anyone with an interest or profession that touches on these fascinating and important plants, including those involved in agriculture and crop production, as well as natural resource managers. It will greatly facilitate the successful use of the standard identification manuals available for most parts of the world. The drawings and photographs, emphasising structural details, illustrate 131 species of Grasses, 38 Sedges, 16 Rushes, 16 Restios, Rope-rushes and allies, and 2 species of Typha (Bulrushes). Covering over 200 species, this will assist with the recognition of many common plants along roadsides or in pastures. 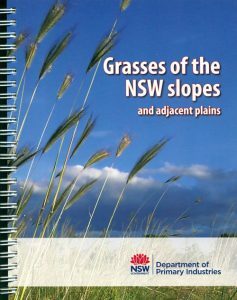 An easy to use reference to the grasses of the slopes and adjacent plains of New South Wales, including the methods of identifying species. Beautiful colour photographs for each species. Notes on appearance and management. 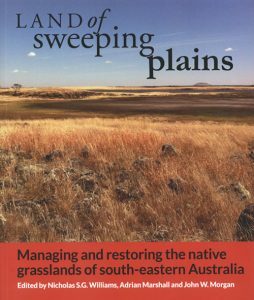 Land of Sweeping Plains: Managing and Restoring the Native Grasslands of South-eastern Australia. Artist/Author: Williams, Nicholas, Adrian S.G. Marshall and John W. Morgan. Now considered Australia’s most threatened ecosystems, Native temperate grasslands have been eliminated from across much of their former extent, and continue to be threatened by urban expansion, agricultural intensification, weed invasion and the uncertain impacts of climate change. Research, however, is showing us new ways to manage grasslands, and techniques for restoration are advancing. The importance of ongoing stewardship also means it is vital to develop new strategies to encourage a broader cross-section of society to understand and appreciate native grasslands and their ecology. This book synthesises the scientific literature in a readily accessible manner and includes a wealth of practical experience held by policy makers, farmers, community activists and on-ground grassland managers. It aims to provide all involved in grassland management and restoration with the technical information necessary to conserve and enhance native grasslands. Artist/Author: Rose, Harry, Jenene Kidson, Carol Rose and Claire Edwards. 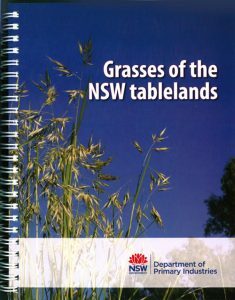 An easy-to-use reference to the grasses of the NSW tablelands, including the methods of identifying species. It contains beautiful colour photographs for each species and notes on appearance and management. Artist/Author: Rose, Harry and Carol Rose. 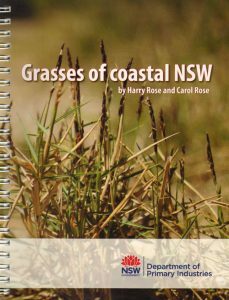 An easy to use reference to the grasses of coastal NSW, including the methods of identifying species. Includes colour photographs for each species and notes on appearance and management. Artist/Author: Parry, Nola and Jocelyn Jones. OUT OF STOCK. REPRINT UNDER CONSIDERATION. 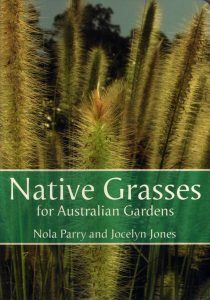 An A-Z of native grasses and grass-like plants, providing a description, an indication of what plants the grass will combine well with, how to care for the grass, and the flowering period. Includes a selection guide to help you choose plants for a particular location. Artist/Author: Clayton, W.D., and Neil Snow. The Pacific Ocean is the most expansive geographical feature on Earth. Included in its domain are thousands of atolls, smaller islands and, depending on how its boundaries are defined, several larger islands and island groups. 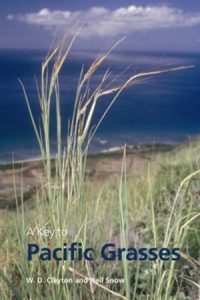 Members of the grass family, Poaceae, are almost ubiquitous and are widespread across the Pacific and this detailed key provides a taxonomic reference of the grasses growing throughout this region. Most Australian grasses are as spectacularly beautiful as the finest the rest of the world has to offer, while naturally being better adapted to the varied Australian climates. 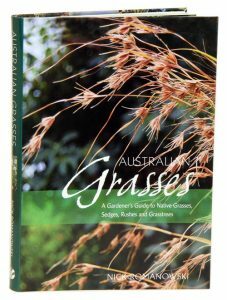 This book describes around 200 species of grasses, sedges, rushes, grasstrees and related plants, and is illustrated with photographs taken in rainforests, wetlands, mallee scrub, and gardens from around the country. Artist/Author: Jessop, John, et al. In this book, for the first time, all of the State’s grasses have been carefully drawn to show their salient features, including more than 450 line drawings and 20 paintings illustrating typical members of each tribe. In recent years there has been an enormous growth in interest in grasses for agricultural and horticultural purposes. 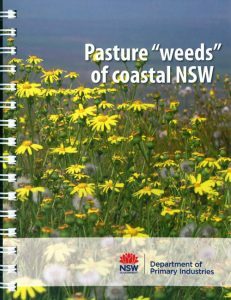 After South Australia’s Native Grass Resources Group identified a need by land managers for up-to-date information, the State Herbarium of South Australia agreed to undertake the preparation of this handbook. Descriptions, illustrations and keys provide the essential information, while special features such as ecological notes provided by field workers and brief statements of distribution for Australia and overseas are also included. 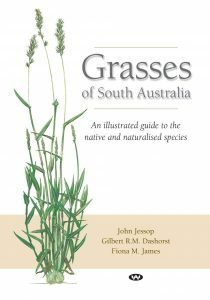 Grasses of South Australia provides easy-to-read and valuable information for everyone with an interest in grasses, whatever their expertise, including people living and working in rural areas and those involved in conservation and re-vegetation.